Here you see some prototype test pressings for the three coins packaged with the Just Toys line of "BendEm" figures, which were released during the early '90s. 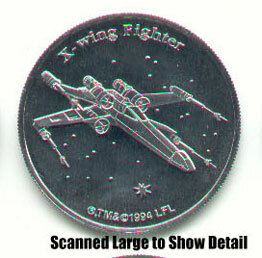 As you can see, they're silver rather than bronze as the production versions were. 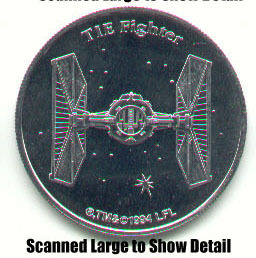 The detail on these things is really sharp; in terms of quality their totally comparable to the Power of the Force coins released by Kenner. 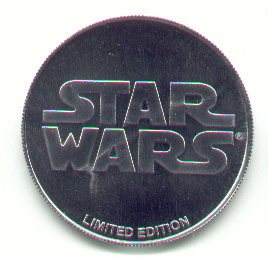 They all feature the same back-- a simple Star Wars logo. 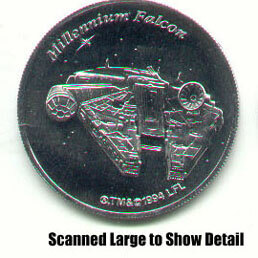 Until recently, no prototypes of this small line of coins were known to exist.